The commercial is promoting an electric car, and it includes a grateful hug from a polar bear. 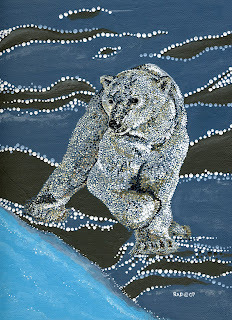 I have blogged in the past about how emotional I get when I think about the melting Arctic. I'm especially moved by the struggle of the polar bears, so this commercial is quite touching. 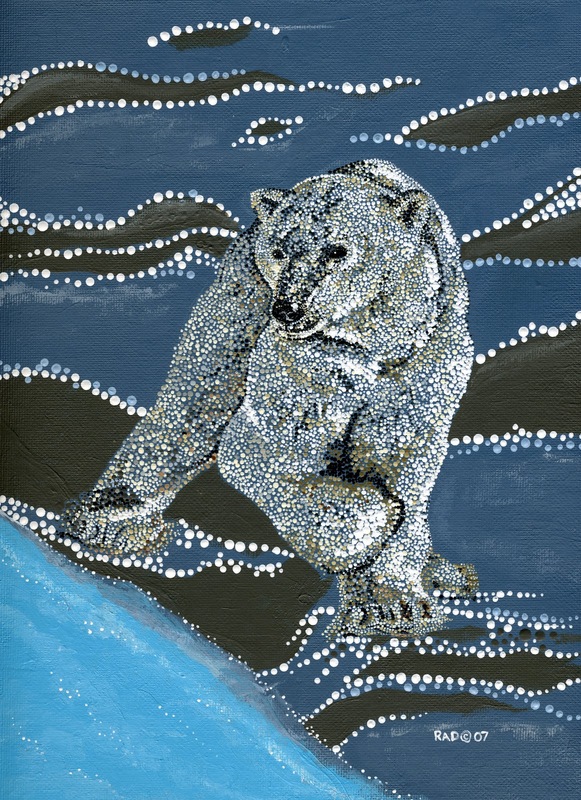 The image is of the polar bear painting from my book, "Through Endangered Eyes."